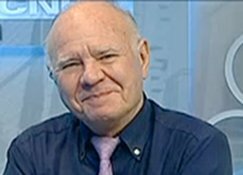 With gold and silver plunging, the US dollar strengthening, and oil still above $100 a barrel, today Marc Faber told King World News this will “end in disaster.” This is part I of a series of written interviews that will be released today on KWN in which Faber discusses the end game, government theft, how investors can protect themselves, gold, silver, bail-ins, central planner actions, global markets, and much more. Eric King: “Marc, you were talking there about the endless printing of money. Obviously it’s going to end in disaster, but when is that going to end? Faber: “I agree with you, it’s going to end in disaster. But it’s not going to end at the hand of central bankers because I know very well how they think….